MFT (Managed File Transfer) is out of box functionality introduced in Oracle SOA 12c. By using MFT we can securely exchange the files between two internal or external points. 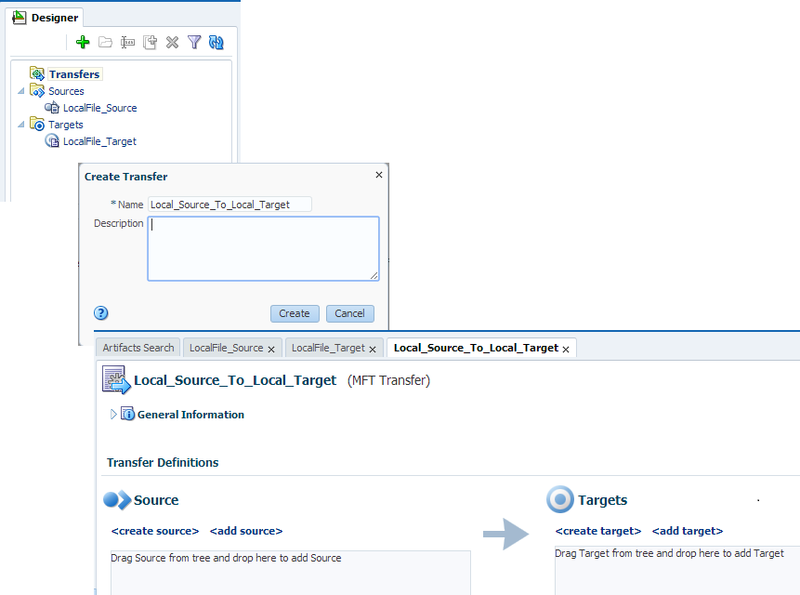 In this post, we will see how to transfer one sample file from one local folder to another local folder. You can also transfer the file to any other point like FTP, SFTP etc but for simplicity we took local folders. Let’s start with the exercise, first open the MFT console by going to (http://host:port/mftconsole) link. You will see below screen, at the top you can see three links. Design link is used by developer to do define required parameters to transfer the file. 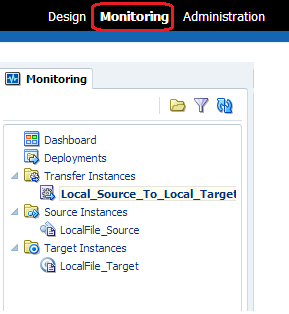 Monitoring link is used to monitor the file transfer and administration link is used for administration purpose. Click on Design link and now we define the source parameters where we place the sample file and MFT pick it from here. 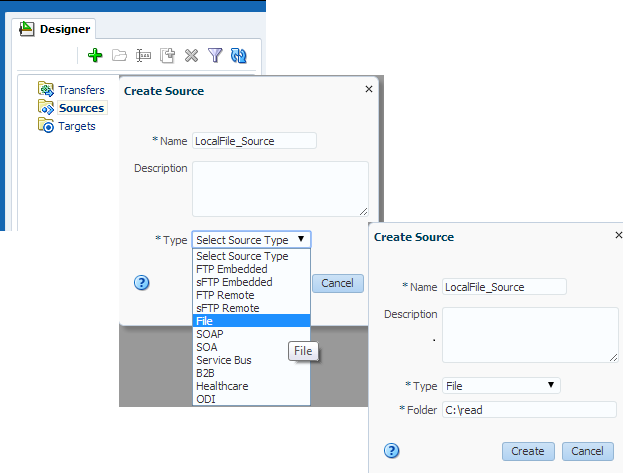 As mentioned earlier we are using local folder for source so we give source a name and choose “File” from drop down list. You also need to specify folder path. 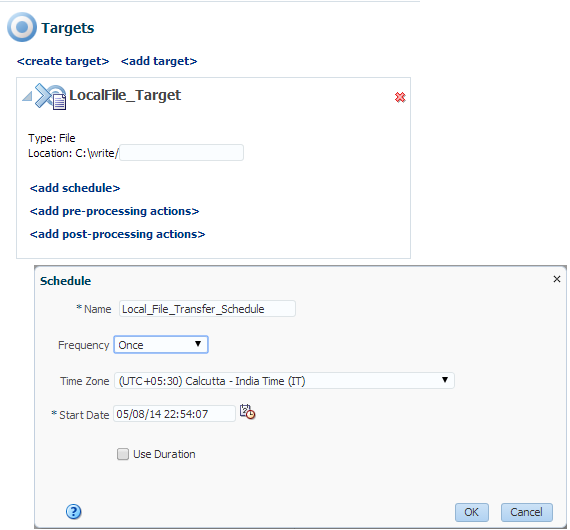 As shown in below screen shot, you can also set advance properties for source. Now as we define the source, define the target as well. We again choose file from drop down list and provide the folder path. As mentioned above again we use local folder for target so MFT will pick the file from source path and place it at target folder. 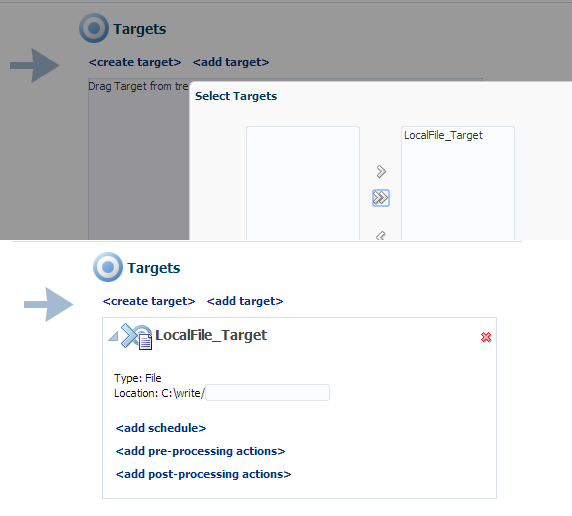 As shown in below screen shot, you can set advance properties for target. Once you define the source and target, next step is to define the transfer. In ransfer, first provide the transfer name, note that transfer name should be meaningful, it should be like , we can easily recognize what are source and target points involved in this transfer. Click on create, you will see transfer definition screen pops up. In this screen we choose required source and target. In above screen, click on add source link and choose above created source. Now we need to specify the file name which we need to read from source folder. 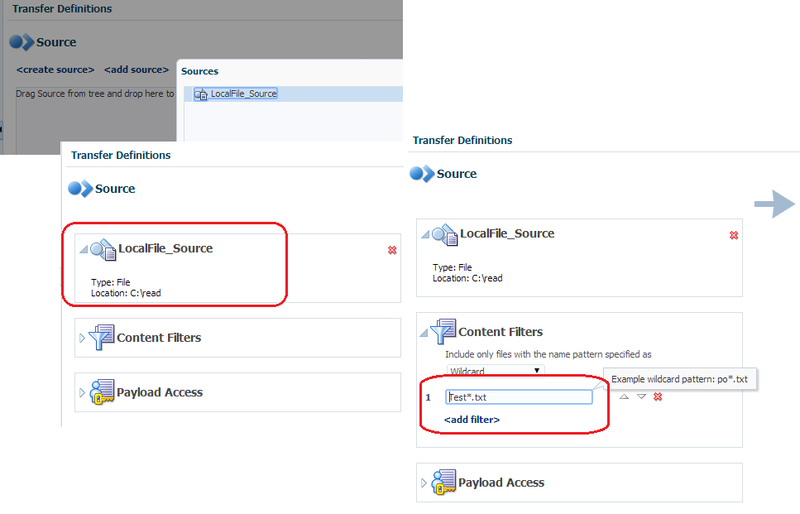 To do that click on content filters and choose wildcard from dropdown and specify file wildcard pattern. Now we choose target, to do that click on add target link and choose before created target. 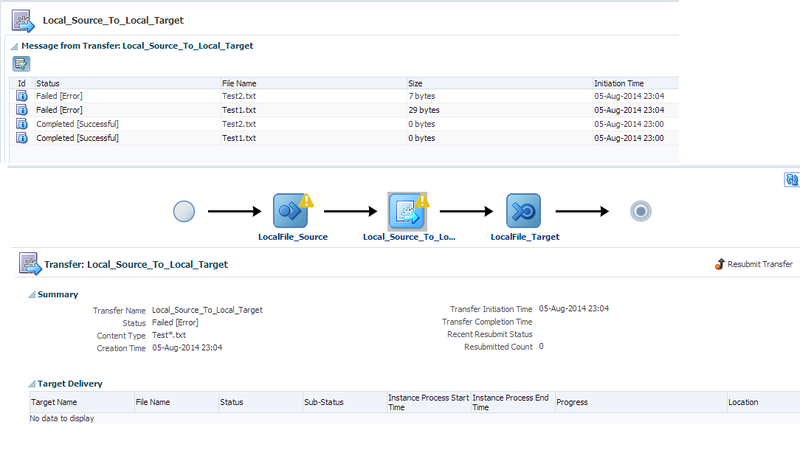 Now we need to define the schedule, this schedule triggers the MFT transfer from source to target. To define the schedule click on add schedule link and fill required scheduling details. 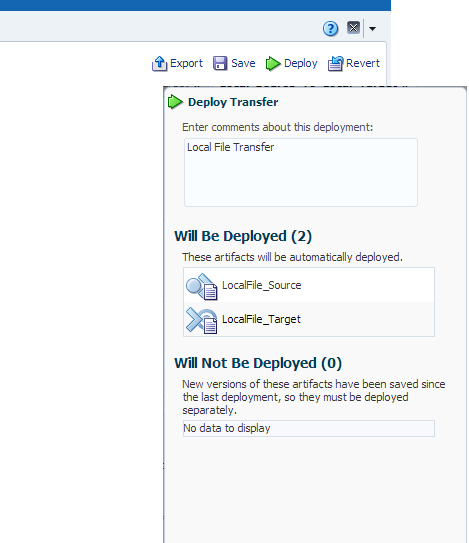 Once done click on save, now next step is to deploy newly created MFT transfer to server. This will enlist all the artifacts which will get deployed to the server. 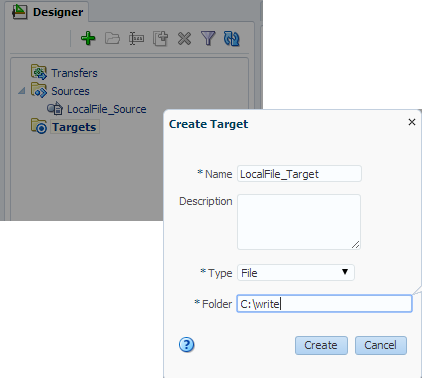 Now place the file at source folder and this file should be picked by MFT to transfer it to target folder. You can also monitor this file transfer, to do click on Monitoring tab as shown in below diagram and choose the transfer instance which you want to monitor. As you can see in below screen shot , file transfer got failed and below screen show the file transfer status. There is also one option to re-submit the file transfer. Explained with great clarity Vivek. Keep up the good work. I have issues creating anything in MFT. When I am in the Design tab, all icons are grey except the filter and refresh icons. I have installed Fusion Middleware Infrastructure and Managed File Transfer and made alle necessary configurations. Can you tell me what might be wrong? Did the user has admin access?, if not then you need to get that. 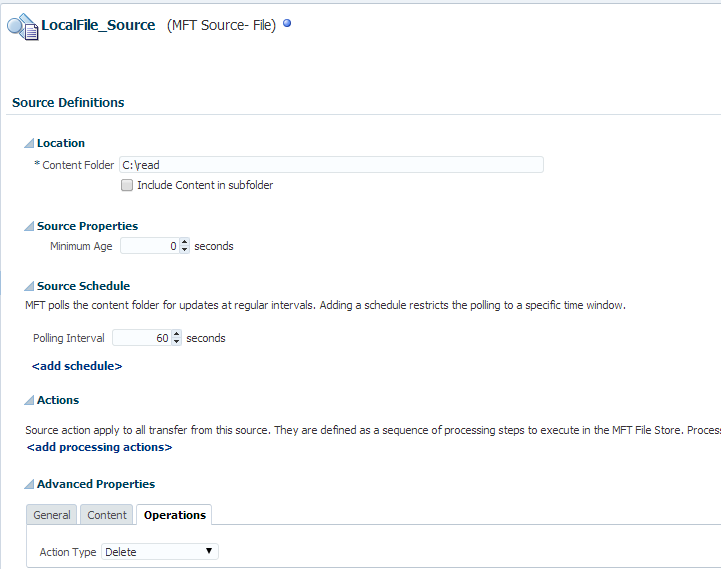 How to setup MFT console ?? Can we list files using MFT ? I am trying to read the file from MFT but it doesn't work while SOA FTP adapter could read the file. Only difference in both the configuration is the property configured in SOA FTP adapter (UseNLST = True). As this FTP server requires to list the files first then read. Is it possible in MFT ? Sometimes the files in our FTP server have wrong owner, so the transfer fail with ftp code 550. 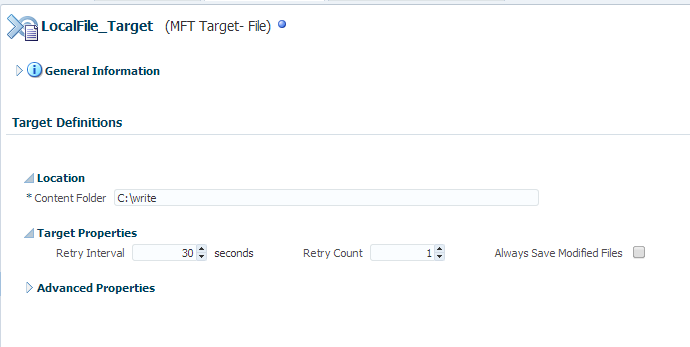 How can I configure MFT to retry a ftp transfer from source after correcting the owner?